I am a Christian counselor licensed in the State of Illinois. I attended Lincoln Christian College and Seminary (now Lincoln Christian College) where I earned both my BA and an MA in Counseling. I am a Licensed Clinical Professional Counselor with over 9 years experience with with all ages in various settings, including in person, online, office, hospital, home and schools. Everyone deserves to be treated with respect. When you reach out for help, I will be supportive and non-judgmental. My style is warm and approachable. While I am a Christian counselor and lean heavily on God's truth, it is not my goal to force people into what I believe. While I enjoy working with a variety of people and situations, I have extensive experience with parenting and anger management, including classes for for those ordered by court or for those completing a service plan with DCFS. I also have considerable experience with marital counseling; and have written and taught a curriculum for dating (what to look for, what to avoid, etc.) I have helped clients with depression, anxiety and mood issues. I have training and nearly 10 years experience as a family law mediator. Sandra is a great counselor and I really appreciate her being there and being so understanding! The insight offered through my counseling with Sandra is amazing!!!! I feel comfortable, relaxed and ready to take on the world after meeting with her. We proceed at my pace and I'm always amazed at how understood I am. Sandra is very helpful and understanding. She became a positive part of my life and helped me greatly when dealing with my depression. Now she is helping me improve the quality of my life and I couldn't be more grateful. Sandra continues to be a wonderful source of help and of support. If we go through a work book she lets me work at my own pace, if we're in a live session she takes it at a speed that I am comfortable with. My concerns are her concerns and she has truly helped and is helping me feel less anxious. Sandra is wonderful and competent. She has a gentle and pragmatic approach to counseling. Warmly recommend her! Thank you for all of the help you have given me. I have a lot of work to do but I believe the tools you have shared with me will help me to at least begin the changes I need to make. Sandra has been a lot of help. She’s really understanding and is really helping me clear up my mind. She helps me see things I didn’t notice before. She makes me feel like everything will be ok.
Sandra is a good listener and I feel like acknowledged with her responses. I feel like she genuinely cares and she is always professional. Sandra is a very thoughtful counselor and has been instrumental in my progress for the past few months. I am truly grateful for all her help. Sandra is a very helpful and understabding counsellor. She listens and knows what the other person is feeling and talking about. I like the way she connects and understands where the main concerns lie for the person in need. This review will actually be my second time back with Sandra after having some further personal issues I am currently struggling with. As soon as I sent my long message out to her about what I was going through, Sandra replied the same day with the same level of sensitivity and helpfulness that she's provided in the past, with the same wonderful attitude and care. Having been a client of Sandra's once more, I feel confident that I will be able to overcome the difficulties I am dealing with, and that things will surely turn out better. She has given me hope and strength in myself, and has helped me so much to understand the way i might be feeling, and how to feel more positive and handle bumps in my relationship as best as possible. She works absolute wonders, and I can't recommend her enough. Sandra is the best counselor I’ve had, ever! I came to better help with caution that I might not find someone I trusted enough to actually talk to. As soon as I started talking to Sandra I was surprised by how much I’ve grown to like her and take her advice. She is so caring and takes the time to listen and respects me. Sandra know what she is doing. Excellent counseling and a very warm and emphatic person. Sandra is a really great counselor, I couldn’t except for better advices, she really helped me. Thank you to her. She is very understanding and knowledgeable about anger and ways to deal with it. Lovely person and good practical advice. Helpful, responds to my issues, and gives me help and worksheets to work with. Sandra is an absolute Godsend. She is very understanding and supportive and helped me deal with things. She genuinely cares about my well-being and makes herself always available when I need her. I have improved greatly and am fixing lifelong scars with her guidance. She is truly an asset to BetterHelp. Sandra is supportive and caring, but will also be frank with you about what she observes from listening to you. I would recommend Sandra to others. Sandra offers wise and heartfelt counceling, listens to my concerns, and provides me with new and more helpful ways of seeing and approaching situations. I really like her. I can feel she is listening to me and takes me seriously which is so important. It helps me to think that I am not crazy but that I am just a girl who needs help. Thanks you Sandra! Sandra was able to help me during a time of high anxiety. She provided tools and practices that really helps ease my mind. I would highly recommend Sandra to anyone dealing with anxiety or stress. I am thankful for Sandra's insights and all I've learned through my sessions with her. She is very caring and understanding even when I do not agree with her. Her acceptance and validation has made all the difference! Sandra was able to identify the source of my struggle within the first 20 mins of my first live session. I'm looking forward to continuing with her. Sandra is extremely warm and kind. She approaches everything from a place of empathy and seems to genuinely care about her patients. I'm really enjoying working with her to help me through a tough time. 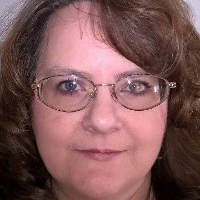 Would you like to write a review for Sandra Lancaster? We'd appreciate if you can spend a couple of minutes to write a short review for Sandra Lancaster (LCPC). This review would be shared with Sandra Lancaster. It may also be posted in our website or in Sandra Lancaster's profile but it would be anonymous and your identity would be kept completely confidential.